The Best Of Broadway’s Roaring Twenties (II) | THAT'S ENTERTAINMENT! Welcome to another Musical Theatre Monday and the continuation of our extended series on the best musicals from the 1920s! This infamous decade was a booming time for musical theatre as the emergence of new talent — both onstage and off — led to a culture that more than evercelebrated outstanding individuals and their creative accomplishments. Broadway was the brightest place on Earth. 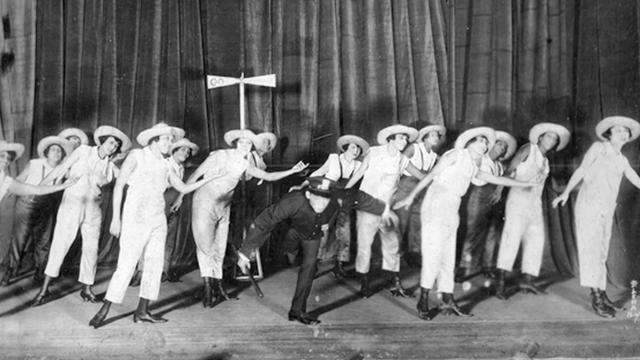 Though the incredibly important Show Boat (1927) appeared three-quarters through the decade, its narrative strength wouldn’t begin appropriation to other musicals until midway through the next decade. This landmark musical aside, the musicals of the 1920s are largely frivolous affairs — trivial books (if there IS a book) with sizzling scores, memorable dances, lavish production values, and the most exciting musical theatre stars of the century. Over these next few months, we’re going to be looking at some of these notable musicals. We’ll be going chronologically, but we won’t be doing one per year like we have in the past; some years will be skipped, others will house multiple shows. In these regards, I really am presenting to you what I think is the best of the best. To kick of the series last week, we covered Sally (1920). Today — something entirely different! 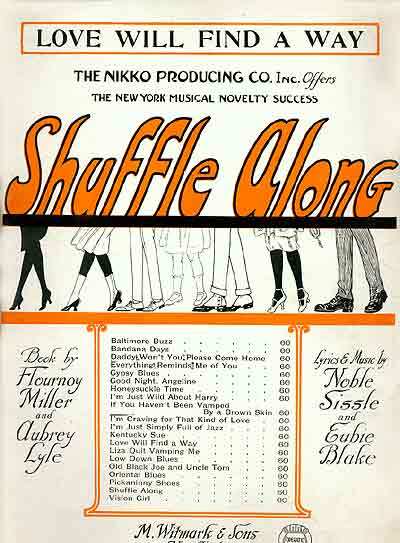 A musical comedy that every student of the theatre should know, Shuffle Along marked essentially the first time that a show created by African Americans and starring African Americans became a sensation among the white-dominated audiences of Broadway. With a score by Eubie Blake and Noble Sissle, the music was hotter than anything Broadway had ever seen. The book was derived from the vaudeville shticks of Flournoy Miller and Aubrey Lyles, and depicted, for perhaps the first time, a romance between two black characters. The plot concerns the mayoral election of Jimtown, where two crooked politicians, Steve (Flournoy “F.E.” Miller) and Sam (Aubrey Lyles), strike a deal to appoint the other police chief if either of them wins. Through the help of a dubious campaign manager (Noble Sissle), Sam wins and keeps his promise to Steve. But their dissension proves troubling and the honest Harry Walton (Roger Matthews) decides to run against them in the next race. He ends up not only winning the election, but the girl (Lottie Gee) as well. Meanwhile, Gertrude Saunders was also on hand to play the soubrette and sing a few numbers. 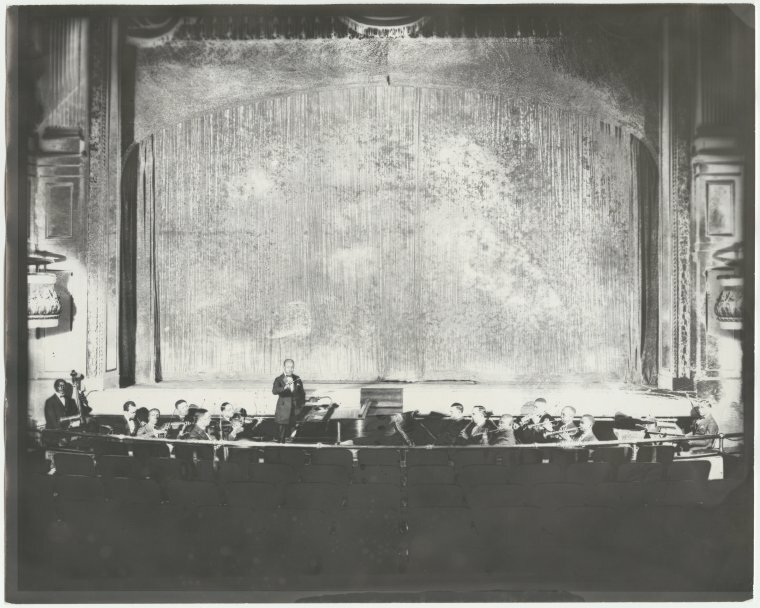 Others in the ensemble over the course of its Pre-Broadaway and Post-Broadway tours included Josephine Baker, Paul Robeson, Adelaide Hall, and Florence Mills, who eventually replaced Saunders. Perhaps the most famous number to emerge from the score was “I’m Just Wild About Harry,” which Lottie Gee’s Jessie Williams sang about her man in Shuffle Along, but later gained publicity as President Truman’s campaign song. Here’s Noble Sissle and his orchestra. This is Sissle and his orchestra again with the opening number, “I’m Simply Full Of Jazz,” which was introduced by Saunders and the Syncopation Steppers. Hear the heat? Saunders got two other solos in addition to the one above. Here’s the best of them — “I Am Craving For That Kind Of Love.” She recorded both this and “Daddy (Won’t You Please Come Home).” But my favorite rendition of the former is by Joan Morris on her and William Bolcom’s “Wild About Eubie” album. 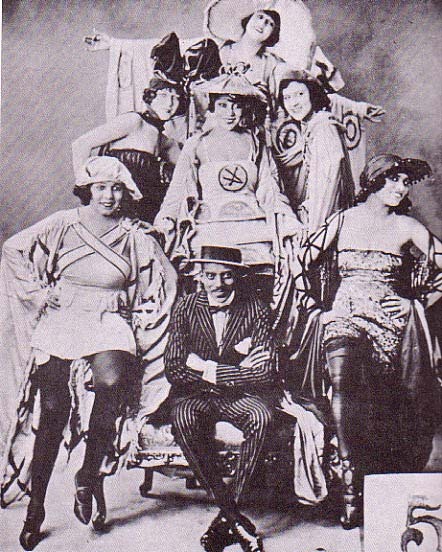 Saunders teamed with Lottie Gee and Roger Matthews for “Gypsy Blues” near the end of Act One. Here’s a 1953 recording by Thelma Carpenter and Avon Long. Miller and Lyle had two numbers. Their second, “African Dip,” the finale of the show, has never been recorded. But their first, “If You’ve Never Been Vamped By A Brownskin, You’ve Never Been Vamped At All,” has been recorded by Blake and Sissle. The five Alderman had a few numbers. One of the most notable is “Bandana Days,” performed here by — you guessed it — Noble Sissle. One of the group’s other numbers was “Good Night Angeline,” which happens to be one of my favorite songs from the score. Here’s the Paragon Ragtime Orchestra. See how brilliant that score is? 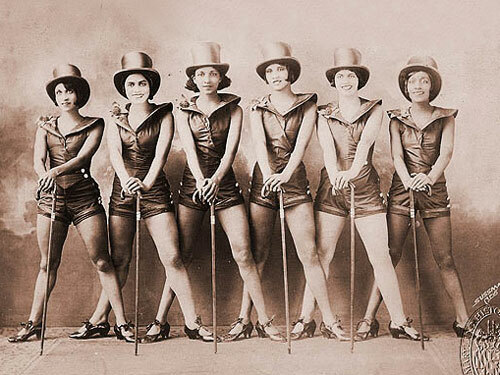 Before Shuffle Along, mainstream Broadway was never this jazzy, and the influence of this show was enormous — leading to a string of black musical comedies and revues that somehow never managed to capture the same success. (Until 1928, that is — but we’ll get there soon!) I think it’s safe to say that Shuffle Along ushered in a new sound to the Broadway scene, and though the next two years saw an increase in the “heat” — check out my Irving Berlin post for some of that — it wasn’t until 1924 that jazz became the order of the day. But we’ll save that for the week after next. In the meantime, we’re going to take a detour into operetta. Stay tuned! Come back next Monday for another ’20s show! And tune in tomorrow for the best from Season Three of Gilligan’s Island! What is the best way to contact you? I’d like to discuss the Miller and Lyles recordings you mention. Thank you for this excellent work. Hi, John. Thanks for reading and commenting! I have received and responded to your email.